To be clear there is a difference between “Opiates” and “Opioids”. In the end, they are both the same. But, opiates are drugs like Heroin and Opium. Whereas, opioids are the drugs made in labs designed to mimic Heroin like OxyContin & Fentanyl. Doctors legally prescribe opioids, not opiates. The opiate drugs are found on the street which are illegally sold to addicts. Below we will feature America on Drugs. This is information and statistics that must be told. Awareness is the key to fighting this terrible drug crisis. Knowledge is power and Awareness is Prevention. We must tackle this drug epidemic from many different angles. First, we need to implement more programs in our schools so that we can reach young people before they have the chance to try drugs. We need to teach about genetics and how they play a role in the addiction disease. If people knew that addiction runs in their family, they might think twice before experimenting with Heroin or Pain Pills. Addiction is genetic. If your parents or uncle are drug addicts, you have a high chance of becoming the same if you ever dabble in drug consumption. Even if you are leally prescribed opioid drugs by a Doctor, you are still at risk of becoming an addict if it runs in your bloodline- family. You should proceed with caution. Many normal people get hit hard by addiction because they had no clue that it was even a danger to them. This is somewhat normal. Statistics show that 4 out of every 5 Heroin addicts, claim that they first became addicted to prescription medication. They then ramped up their drug use by purchasing cheap Heroin on the streets. This was for various reasons: their Doctor cut them off, they lost their insurance to pay for prescriptions, or they simply wanted to consumer more opioids than the Doctor was prescribing. Opiates & Opioids are a very different drug. For starters, it is the most addictive drug out of many. Our body becomes tolerant to opioids and we build a high tolerance. This means that you have to consume a higher dose to get the same effect that you had last week or the week before. This becomes a viscous cycle where your dose rises and rises to the point where you have lost control. The drug itself is running your life and making all of the decisions. Not you. 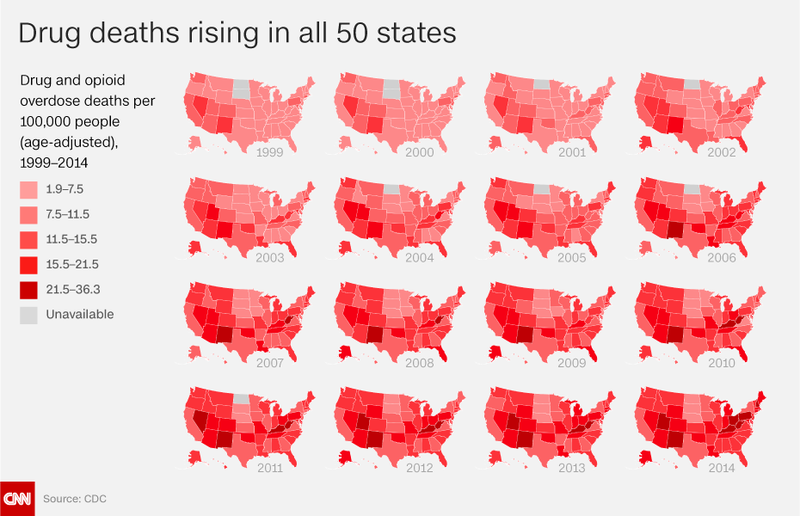 CNN reached out to every state for the latest statistics on drug deaths, with half providing data from 2015. It found that drugs deaths continue to rise rapidly in many states. Epidemiologists in several states blame the increasing number of drug-related deaths on greater use of heroin and synthetic opioids, such as fentanyl. This opioid called Fentanyl has no limit as to how potent and powerful it can be. A tiny amount can be absorbed through the skin and into the blood-line which would effect you in terrible ways. There was a case a few years ago where a patient taking Fentanyl patches somehow landed the patch on his wife’s back in bed while they were sleeping. She was not tolerant to Fentanyl and she overdosed and died that next morning. There have also been other cases where first-responders and police busted an addict who had powered Fentanyl on them. It got onto the EMT person and made them very sick. This is how strong this opioid drug is. Many Heroin overdose deaths happen because the user does not know that the opiate Heroin was laced with Fentanyl. It put them over the edge and they stopped breathing. “If you look at the cause of death, we just don’t normally see increases like this,” said Robert Anderson, the chief of the mortality statistics branch at the National Center for Health Care Statistics at the Centers for Disease Control and Prevention. Drugs are the leading cause of accidental death in this country today. 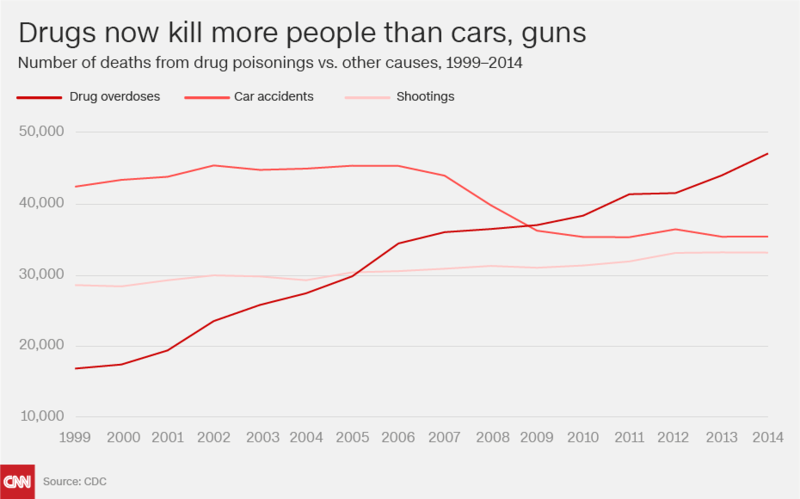 Fatal overdoses surpassed shooting deaths and fatal traffic accidents years ago. Isn’t it amazing that more people die from drug overdose than car wrecks? People are doing this to themselves. For perspective on how fast drug deaths have risen, Anderson said, consider the sharp rise in heart disease in the early half of the 20th century. It took about 50 years for the rate of heart disease to double. It took drug deaths a fraction of that time. Overdose drug deaths doubled in numbers in only a couple of years. A very swift uptick in these kinds of deaths. What is happening? Why is this happening? These are the typed of questions that we, the Community, need to be asking and addressing. Opioids: Dangerous prescription painkillers – Prescription and illegal opioids are commonly abused because they are so addictive. Opioid medications bind to the areas of the brain that control pain and emotions, driving up levels of the feel-good hormone dopamine in the brain’s reward areas and producing an intense feeling of euphoria. Who doesn’t want to fee good? We all want to fee great every day. But, it is a deception. It is not realistic to live in euphoria every single day by consuming opiates or opioids. But, this is exactly what addicts are striving for. Once you are hooked, the addiction takes over and you are no longer in control of your life. It is a terrible situation to be in. You are locked and imprisoned to a substance that you cannot go without. Quiting opium substances causes major withdrawal effects unlike any other drug. You can stop taking Meth and only feel a bit tired for a few days. Same with Cocaine. However, heroin and pain pills are totally different. You feel like you are dying. You want to die it feels so bad. Every inch of your body inside and out is in severe discomfort. It cannot really be compared to any other illness. If we had to, we would most compare Heroin withdrawals to having a cold and the flu. Except it is the flue times 100 (X100). It is 100 times worse and lasts a lot longer than the flu. As the brain becomes used to the feelings, it often takes more and more of the drug to produce the same levels of pain relief and well-being, leading to dependence and, later, addiction. Oxymorphone hydrochloride, known as Opana ER, was at the center of an HIV outbreak in Indiana in 2015. 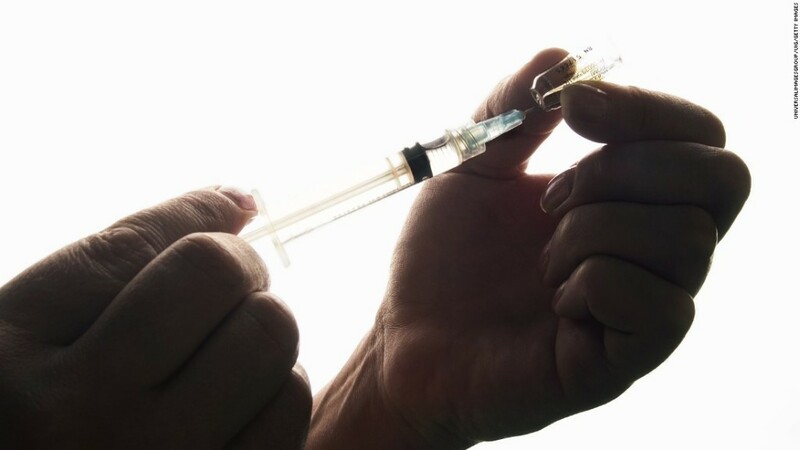 Some addicts began injecting and shared needles increased the spread of HIV. The reason Opana ER was pulled from the market by the FDA is because it could be crushed into a powdered form and snorted or injected. This is unlike OxyContin which has a built-in feature that causes the drug to “jello” when it is crushed. Therefore making it impossible to inject or snort. This did help to reduce the problems of OxyContin addiction. It is too soon to tell if Opana ER will create the same jello-like effect that OxyContin contains. 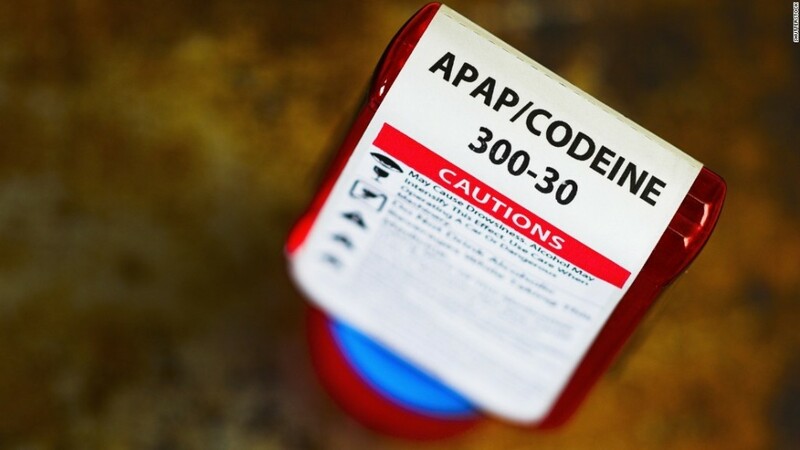 Codeine – Codeine is one of the weakest opioids, often given when painkillers such as acetaminophen or ibuprofen fail to work. Dentists often prescribe codeine for tooth aches. Because it decreases activity in the part of the brain that controls coughing, it’s frequently mixed with other liquids to develop cough syrups for colds and flu. It has frequently been used for pain relief after removal of tonsils and adenoids in children. After an investigation, the FDA restricted the use of codeine and tramadol in children under 12 and recommend against their use in children between 12 and 18 years of age. Additionally, the FDA has warned breastfeeding mothers not to take these medications due to the risk of serious adverse reactions in breastfed infants. Heroin – You can’t get heroin by prescription, but many heroin users start off abusing prescription opioids, then turn to this illegal opioid. It is basically the same as Oxycontin or Vicodin but much, much stronger. CNN’s Chief Medical Correspondent Dr. Sanjay Gupta has reported on recent research that shows today’s typical heroin addict starts using at 23, is more likely to live in affluent suburbs and was likely unwittingly led to heroin through painkillers prescribed by his or her doctor. Statistics show us that 4 out of every 5 Heroin addicts first became addicted to their prescribed opioid medication. This is where the problem begins. Doctors need to be more strict about who they are prescribing these drugs to. Does the patient have a family history of drug addiction? If so, the patient is likely to become addicted also. 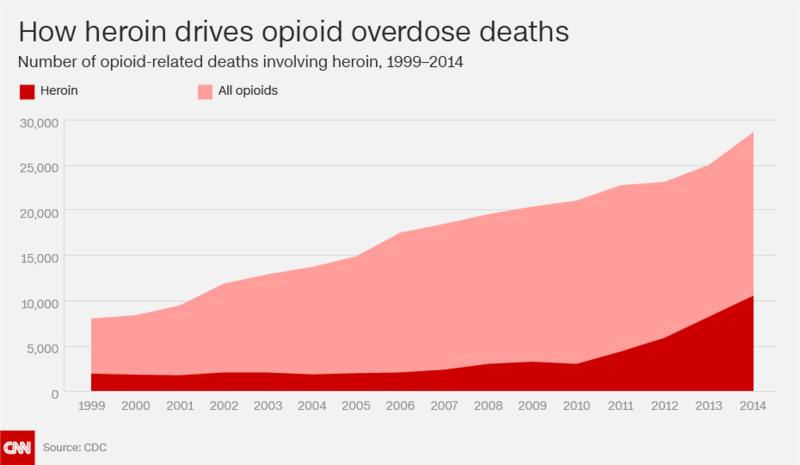 According to the CDC, deaths from overdoses of prescription drugs and heroin continue to be the leading cause of unintentional death for Americans, rising 14% from 2013 to 2014. Fentanyl – Fentanyl citrate, pictured here, is a Class II controlled substance and one of the most powerful opioids on the market. It is often administered via injection or transdermal patch, or in lozenge form for pain after surgery, for difficult-to-manage chronic pain and for people who have developed a tolerance to other opioids. 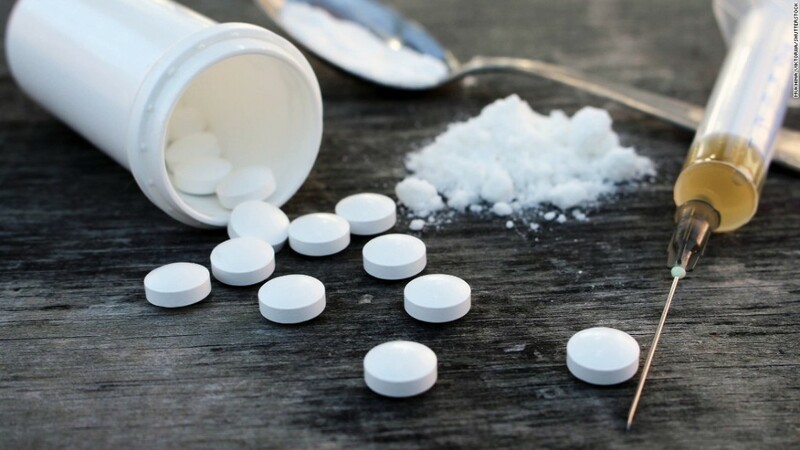 The type of fentanyl usually associated with overdoses is bought on the street in powder or pill form and is often mixed with heroin in a clandestine lab to increase the high it produces. Street names include Apache, China girl, goodfella, jackpot, murder 8, TNT and Tango and Cash. Oxycodone – Oxycodone is a powerful narcotic pain reliever prescribed for moderate to high pain relief. It is often given in an extended-release formula for patients who will need to be on pain medications for long periods of time. 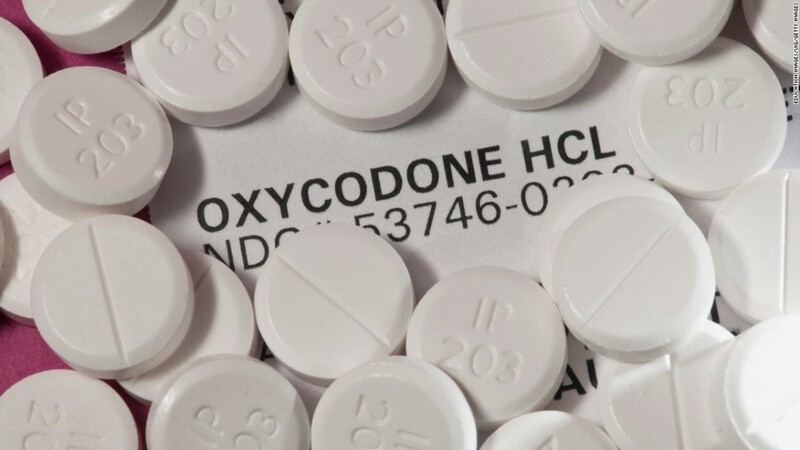 Patients are warned not to break, chew, crush or dissolve extended-release tablets because the rush of oxycodone into the system could cause serious health problems, including overdose and death. 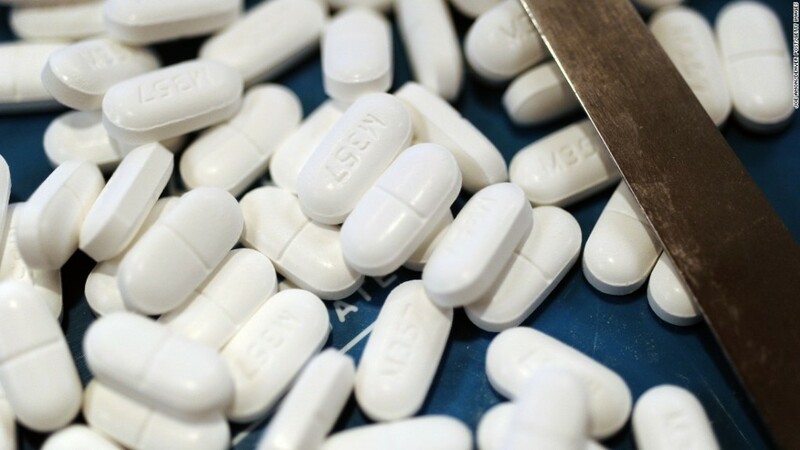 Though highly addictive, oxycodone is not thought to be as frequently abused as hydrocodone. OxyContin, Percocet, Percodan and Tylox are some trade-name oxycodone products. Morphine – Morphine is another powerful opioid often administered via syringe for severe pain. It can come in pill form, usually as extended-release tablets and capsules, and is prescribed only to relieve difficult, chronic pain that cannot be controlled by the use of other pain medications. As with most opioids, mixing medications, drinking alcohol or taking other meds that contain alcohol, or using street drugs while taking morphine, increases the risk of breathing problems or other serious, life-threatening side effects. 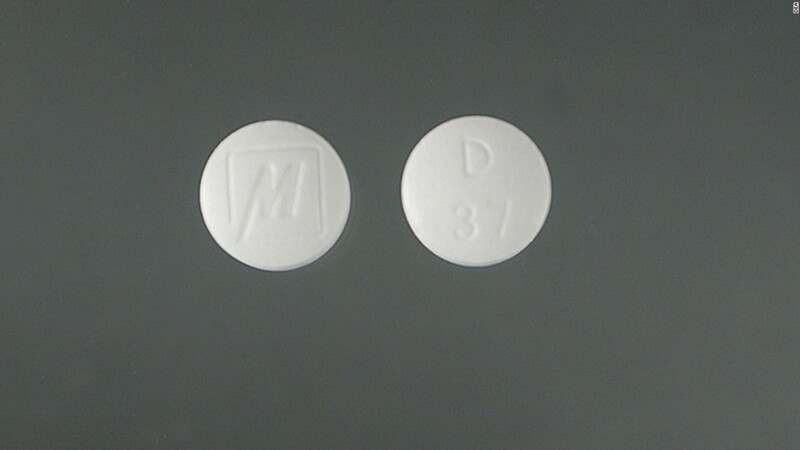 Meperidine – Meperidine is another narcotic analgesic, similar to morphine. It’s often used to help put people to sleep before an operation and to provide pain relief after childbirth. The most common brand name is Demerol, which comes in both tablet and liquid forms. It is usually taken with or without food every three or four hours as needed for pain. As with all opioids, meperidine can cause drowsiness, so never drive a car or operate machinery after taking it until you know how you will react. Hydromorphone – Hydromorphone is another highly potent prescription painkiller. 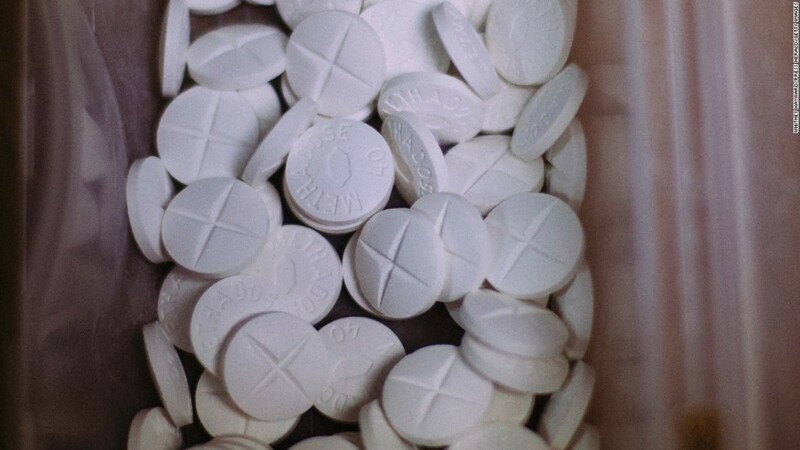 It is most commonly known by the brand names Dilaudid, pictured here, and Exalgo. 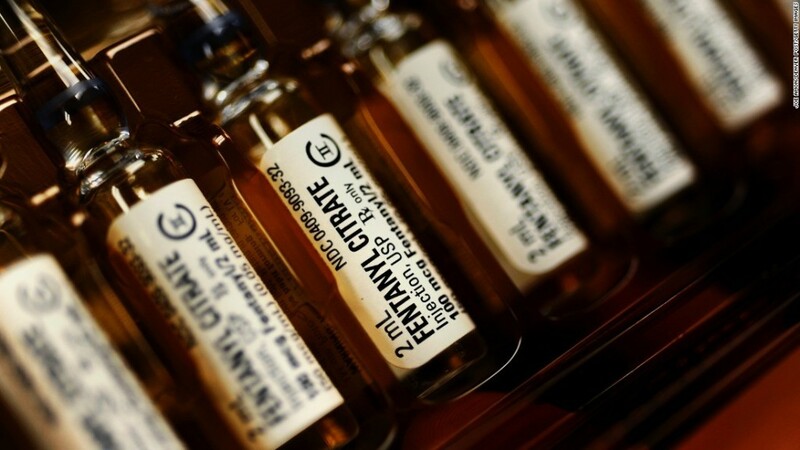 Liquid hydromorphone holds the dubious honor of being frequently mistaken for morphine in hospital “wrong drug” medication errors because of the similarity of the names and appearances. 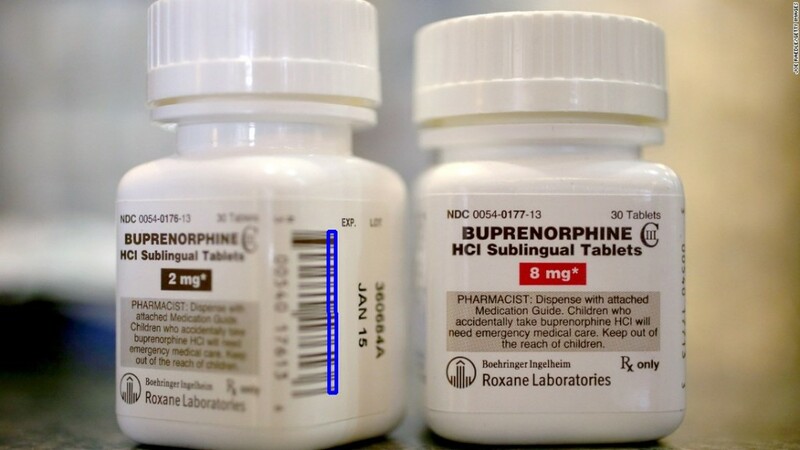 Buprenorphine – Buprenorphine is a opioid used as an alternative to methadone to help addicts recovering from heroin use. 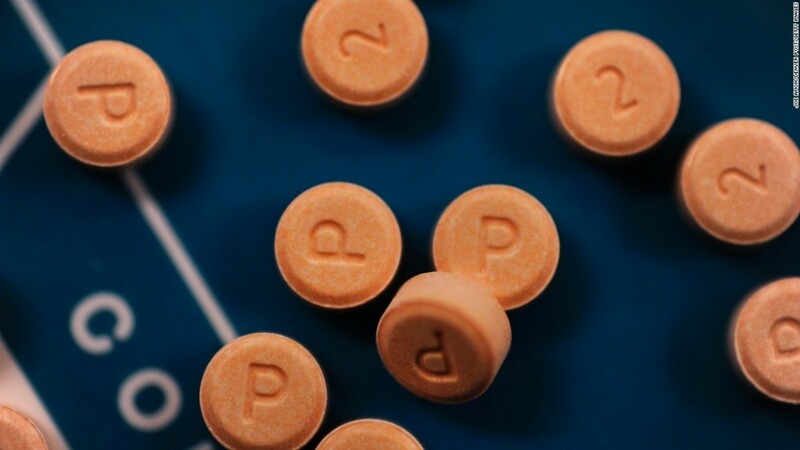 Buprenorphine is different from other opioids because it’s a “partial opioid agonist,” which means that when taken in proper prescribed doses, it should produce less euphoria and physical dependence, and therefore a lower potential for misuse. It is also supposed to have a relatively mild withdrawal profile. However, if abused by crushing and snorting or injecting, it can suppress breathing and cause dizziness, confusion, unconsciousness and death. Subutex, the brand name for buprenorphine, is taken as a tablet placed under the tongue and allowed to dissolve. The brand Suboxone is a combination of buprenorphine and naloxone, an opioid antagonist. Antagonists block the opiate receptors in the brain, keeping the narcotic from creating the high abusers crave. Suboxone is often prescribed in a drug rehabilitation setting. The patient must already be in withdrawal. Once taken, it drastically relieves the withdrawal and reduced cravings. However, Suboxone is a drug and patient must wean or taper off this drug just like any other opium related drug. Some people claim that by taking Suboxone the patient is just switching one drug for another. However, we at HEROin Me, disagree. If Suboxone successfully helps an addict get clean from heroin or pain pills then it has done its job. Suboxone is NOT meant to be taken indefinitely. The addiction Doctor usually places the patient on a strict schedule so that once they have detoxed and gone through recovery courses, they can taper off their consumption of Suboxone. The only thing comparable might be the HIV epidemic when it first reached the United States in the late 1980s, when there were no drugs to treat it. But unlike with HIV, where demonstrators took to the streets to demand help, the drug epidemic often happened out of the spotlight. That might be because drug deaths have disproportionately hit small towns and rural America, mainly in Appalachia and in the Southwest, far away from the eye of the national media. It became a particularly dangerous problem for middle-age white men and women. Heroin-related deaths increased 439% from 1999 to 2014. As of 2014, heroin-related deaths had more than tripled in five years and quintupled in 10 years. In 2016, there was 52,000 drug overdose deaths related to opiates and opioids. That equates to about 7 deaths every single hour in the United States. Count it out on your fingers…..7 people are dying as I type this Post within an hour! It is a lot of people. Too many. In 2014, opioids were involved in 28,647 deaths — 61% of all US drug overdose deaths — and 10,574 were related to heroin, in particular. Data from 2014 reflects “two distinct but interrelated trends,” the CDC notes, a long-term increase in overdose deaths due to prescription opioids and a surge in illicit opioid overdose deaths, mostly related to heroin. What are we going to do about this? Is it too late? In some aspects it is indeed too late. Obviously for those who died from their addiction, it is far too late. However, we can strive to create more Awareness and help young people learn about the dangers of drug addiction. We must reach school kids BEFORE they have the chance to experiment with drugs. We need better programs. More than just the D.A.R.E program that exists today. We then need to create better detox & rehab programs. We need to counsel drug addicts in a better way so that they do not relapse. It is proven that 9 out of every 10 addicts who enter rehab end up relapsing in the very first week. That is 90% of people going into rehab do not make it. This number must be changed. We need better detox programs coincided with recovery methods. With that said, we need far better Recovery programs. Too many addicts are relapsing some time after they complete their drug rehab program. We need to introduce the education of the brains chemicals called “Neuro-Transmitters”. These are what is known as Dopamine and Serotonin. See our Page called “Neuro-Transmitters Chemicals” where you can learn about how important our brain chemicals are when it comes to drug recovery. When an addict is consuming any opiates over a period of time, their brain stops producing dopamine and serotonin. This is because the Heroin or Pain Pills is providing the dopamine. It is replacing it. Therefore, when an addict stops taking opiates, their brain just does not start producing dopamine normally. It takes a long, long time for the brain to re-balance. Because of this, the addict goes without the proper amount of dopamine or serotonin. They are not getting it from the opiate drugs anymore, and their brain is still not producing it naturally. The brain had shut-off the production of dopamine because it was receiving it from an outside source (heroin or pain pills). This is the main reason why people relapse. You cannot go without dopamine or serotonin. You will feel depressed and in a state of despair 24-hours a day. You will feel no pleasure whatsoever. No happiness or ‘feel-good’ scenarios. You feel absolutely terrible mentally and physically day after day. However, you remember how good you felt when you took heroin or pills. They made you feel invincible. You felt like you could not live without them which is why you were addicted for so long. It keeps running through your mind that you can fix your depression and feel great again if you just pop a few pills or snort some heroin. You can make your despair go away in seconds. This is far too tempting. Everyone wants to feel good. So, you relapse. Most people relapse because of this. This is why the rate is 90%. If we could introduce new ways to eliminate these ‘using memories’, we might be able to lower the number below 90%. If we can teach addicts how to control their thought-life, we can begin to conquer this drug crisis. Addicts also need to learn about their brains neuro-transmitters and why they are out of balance. Knowing exactly what is going on with your body is half the battle. Addicts can take a test that helps to determine which brain chemicals they lack and how severe their depletion is. They can then take natural supplements that are pre-cursers. Specific supplements (Vitamins) can jump-start the brain and help it to begin producing chemicals naturally. The addict will begin to feel better within weeks after consuming these healthy supplement boosters. You can help to support our site of Awareness by clicking on our Ads on the RIGHT SIDE BAR. Or, do all of your shopping by clicking on our Amazon links and allowing us to direct you to Amazon. Our site www.HeroininMe.com is designed to provide Awareness so that we can help people prevent a drug addiction. We provide information, stories and helpful methods for detox & recovery. First of all, I want to say that you have done a great job on healing yourself from your terrible addiction. Like many things in life there is often good coming from bad. In your case the good is that it puts you in a great position to help others who may not be as strong as you. The information you provide is really informative and well-presented and I learned a lot from it. I have been fortunate in my 64 years of life so far not to have succumbed to drugs. I had a bad experience smoking my first cigarette a the age of 5 and that steered me clear of smoking and then cannabis etc. But, as you point clearly point out, medical prescription drugs are often not sought out and become a necessity from accidents which leads onto stronger drugs by necessity as the body gets used to them. Much of the hype and media coverage over drugs focusses on bad people on the streets etc. and not much on the prescribed side of drugs that leads onto addiction. I am sure the medical profession does not want that story told too often. By you coming forward and relaying your story you have corrected that imbalance. I am sure you will be successful in reaching out to people who need help from people who have experienced drug addiction. Great job! Alan, thank you very much for your encouragement and support. Your comment is one of the most uplifting and supportive remarks that I have heard thus far from our Readers. This helps us move forward and know that we are reaching and helping people. I thank you for commenting and wish you the best of luck with your own endeavors. – Matt B.
I grew up around heroine addicts and observed their behavior for years. I saw good, decent people become puffed up “scratchers” and “nodders” with track marks up and down their legs and arms. Methadone didn’t exist in those days. Most junkies ended up dead on a roof or in a basement. I know this is graphic but America is in big trouble … you are right, we need more drug awareness. Thank you for the support. By reading our Posts and commenting on our site http://www.HEROININME.com you are helping in the fight against opiate and opioid drug addiction. We need more people talking about these issues and joining together as a community to create more programs that increase awareness and prevention. We totally agree that America is in big trouble when it comes to heroin and pain pill addiction. We are at crisis levels. More than ever before we are seeing drug overdose deaths. It is not isolated either. People of all levels are becoming addicts. Professionals like attorney, nurses, neighbors, friends and family members…are all getting addicted to opiates or opioids (Heroin or Pain Pills). Drugs have no favorites as they attack anyone and everyone. Thanks for your input and please share our Posts so that we can reach and help more people. Here are some more helpful Posts. – Matt B.
Wow! This was a good read! My partner had an addiction to ice which is a methamphetamine drug! It quickly took hold of him, started as a recreational thing and kept going til he couldn’t function with out it. It took 2 years to get him clean and build trust back up especially with money and valuables. He had been clean for 2.5 years now and is back working and being a good dad! Addicts usually push people away and can be very cruel but it’s not the person you know deep down! For everyone going through this just don’t give up on them. HI Hailey – Thanks for reading our post and supporting us by commenting on our site http://www.HEROININME.com. Not giving up is the best advice we can offer loved-ones as well as addicts themselves. If you read my own story (which encouraged me to create this helpful site) I too was forced to NEVER GIVE UP, after nearly losing my life to drug addiction. Please share this post so that we can reach more people. Many people are hurting and dying. I too had a close friend addicted to ICE and it nearly destroyed his family, wife and 3 little beautiful girls. I helped him get clean, but I also worry about relapse since he had prior to the final ‘getting clean’. You are experienced in this, I can tell. You are right that addicts push all people away. They do not have control of their life anymore. The drugs rule them. Its a disease once it takes root. It might have been a choice at the beginning…depending if using the drug for entertainment/ recreation OR if you were legally prescribed a drug for pain. Either way, the same effects happen and the person becomes addicted. Its all the same in the end. Addicts are embarrassed or simply don’t want to stop taking the drug for fear they will physically feel bad. Tired or in withdrawal is a lot of the reason. Opiate withdrawal is horrendous to go through. ICE and cocaine is not as bad, but any of it is hard to come off of and the only way is by getting help from professionals. Staying clean is not an easy task. Addicts have memories of what it felt like to use a drug, therefore when life goes bad or they feel bad over something in life, they want to escape by using a drug and make themselves feel better. But, its all a deception. A lie. IN the end, it will destroy you and your family. But, there is hope. Never give up on the person like you said, or never give up on yourself. LIke our site motto is…find your own heroism in yourself by getting help, asking for help entering rehab and being determined to get clean and stay clean. Below are some other helpful Posts for you! Your post really hits home with me. I have a family member currently in prison due to a heroin addiction. He has been battling his addiction for many years and was clean for approximately 10 years before it started again. Like so many, his addiction resumed with prescription drugs. He was given pain killers when he was hurt at work (with his history of addiction, why they prescribed pain killers I don’t know) but his addiction quickly escalated and he lost everything, became homeless, and resorted to stealing and that is how he ended up in prison. The statistics for heroin addiction and addiction related deaths are staggering. I have shared your site and commend you for bringing awareness to help people with addiction and entered my email to support this cause. Hi Dana, thanks for taking the time to give your opinion and comment on our site http://www.HEROininme.com. We appreciate your involvement and please share our Posts and Site so that we can reach more people. So many people need help, direction and information to increase Awareness. Thanks for sharing our Posts…I am so sorry that your family member has struggled for so long over opiate addiction. You / He is NOT ALONE. There are so many people these days…more than ever before. Doctors over-prescribe instead of trying to fix the root of the pain problem. Addiction is genetic so are there any other family members above this family members of yours that might have effected his genetic code? Causing addiction once he tried opiates or opioids. Its no excuse, but genetics ARE THE REASON why so many become addicted. It was or is out of his control . He needs help, but I am guessing that you all have offered him countless help and support. Sometimes people have to hit rock bottom before they get the help they need. THey have to want to get better. Sorry, I feel for you and your family and I pity your family members and do not look down on him at all. I was an addict also because of prescription drugs and genetics. But, I try to help people now since I know exactly what they are going through. Here are some other helpful Posts. Take Care- Matt B. These numbers and stats are just horrible! It’s hard to fathom the number of people dying. There is something very very wrong with our health care system and how we handle pain. There has got to be a better way. My bone to pick with doctors is that they’re all specialists! If they can’t find anything wrong with their part of the body, they treat the symptoms. Their patients fall victim to treating symptom after symptom without ever grazing the root cause. Something has got to change! Thanks for the good information. Hi Helen, we totally agree with you about this heroin and pain pill crisis that has become a full epidemic. Doctors have major blame in this. Sorry, but its true. Instead of helping a patient find the root of the problem causing pain and actually fixing or repairing the main source…they patch it with pain medications. Oh, just take Vicodin or OxyContin and you will be fine. The patient starts an endless journey on pain meds and if addiction runs in their family, they are doomed to becoming an addict. The amount of deaths and other overall impact that heroin, opioids and drugs on a whole have had on society is very sad. What I find even more disturbing is that 4 out of 5 addicts say they became addicted to prescription meds first, that means the government is literally creating addicts. This information needs to be available to the public more readily and what personally inspired you to write about it. Hi Aldane, I think you are damn right about the government creating addicts somehow on purpose or turning a blind eye. There is a lot more to this that you brought up for sure. In our research and we are putting together a documentary, we are finding that there is no longer a WAR ON DRUGS. There never was much of one. The Cartels are still ruling and the DEA is working with them. They are more worries about the violence and deaths on the border than drugs. But they are idiots because the drugs are causing the violence. WIth that much money flowing, Cartels are never going anywhere. The only way to beat this problem is by this saying: “NO CUSTOMERS, NO CARTELS”. Thanks for supporting us by commenting on our site and post at http://www.HEROININME.com, You can support us further by going and clicking on our 3rd party ADs located on the RIGHT SIDE of this site as well as the bottom FOOTER of this site. We get credit for clicks by users and that helps our site keep going and covering expenses. I do think that many doctors over-prescribe pain medication. However, I wonder how many people would seek out street drugs if doctors refused to prescribe legal drugs. It’s not an easy problem to tackle. One thing I think that family members of addicts need to impress is that even though the addict thinks he or she can kick the addiction without help, they are wrong. Like you state in your article, quitting will be like going through hell, and they will probably need some drugs administered under strict medical supervision and counseling. Yes, Doctors over-prescribe and do not help patients with the root of their ailment. They patch the symptoms with pain pills and never address why the patient has pain. This is the norm and this is exactly why we have an opiate and opioid addiction epidemic in this country. Thanks for contributing to our site http://www.HEROininme.com and please share our Posts so that we can reach more people to help them! – Matt B. This is amazing. Thank you so much. I know there is already a somewhat growing awareness of this but most people do not truly understand. It is getting bad to the point of where nearly any person you ask knows somebody who has been affected by either prescription opioids or street drugs. If more people don’t stand up like this it will only get worse. So True, I have said this many times myself. When I get comment on this site, it is most people knowing someone who was addicted, or it was themselves who became addicted. This is a lot of people. Stats/ News just came out the other day that 3 out of every 4 people in the U.S. had taken opioid pain pills. Over 90 Million people. Any of those with genetic pre-disposition toward addiction (ruins in their bloodline family history)..they are doomed! That was my case. I was prescribed Fentanyl for 7 years before, during and after a surgery that failed and I became fully addicted. Nearly ruined my life and took my life. I almost took my own life because the chronic physical pain which could not be repaired was so bad and on top of that I had become a terrible drug addict because of it. Things got bad and I almost ended it. But, I didn’t and I recovered and here I am helping other people so that something good can come out of my situation. Thanks for reading and please share our Posts so that we can help reach more people. Also, by clicking on our Ads located on the RIGHT SIDE of our site and bottom FOOTER you can directly help support us. Thanks and I wish you the best as well, Matt B. This is really terrible about how many unfortunate people are caught up in this tragic cycle! A good friend of mind was well and truly addicted to heroin for years. This person came from a good family and started using the drug because he was bored. As far as I know, he is still using the drug, but not as much as before. I think there should be more avenues if people have slight depression and anxiety issues other than to turn to hard drugs to get more stimulation in their lives. What do you think about this suggestion, Matt? Yes, it is very sad that so many people get sucked into opiate and opioid drug addiction before they even know it. That is what happened to me. It turns out that I have addiction that runs in my family blood line. This is exactly why we feel so strongly about educating young people about addiction and genetics. To encourage them to check out their family history to see if any drug addiction or alcoholism exists. If so, they might be doomed if they ever experiment with drugs. This is our purpose and our goal. To reach as many people as we can and provide them helpful information to increase awareness and prevention. You can help us further by SHARING our posts and site http://www.HEROINinme.com with your friends and asking them to share and spread the word. We agree, that there needs to be more options for people who suffer from depression or chronic pain than to turn to a very addictive and dangerous drug such as opiates or opioids. Heroin or pain pills. Thanks for commenting and please click on our RIGHT SIDE of this site ADs..which we get credit for and this directly helps to support our site and cause. Thanks, Matt B. Do you know anyone who has been or is addicted to pain pills or heroin? Please tell your story so that it can help other people who use this website gain more knowledge and insight. Are your brain chemicals in balance? You can take a questionnaire test that helps you pinpoint which brain neurotransmitters are out of balance and at what severe level. Then you can take supplement boosters. I did this exactly after my Doctor taught me about all this. My life changed within a few weeks of taking specific supplements like Tyosine. Go to the Page at the top of this website on the menu under “RECOVERY” section.